Coconut oil contains a unique form of healthy saturated fat – unlike other saturated fats, it raise thermogenesis and stimulate fat burning from the body. Coconut oil can be taken as virgin coconut oil or food supplements containing cocoa extract – there are several steps to incorporate coconut oil into your fitness program. 1. In the morning, instead of butter, bread and grease take one to two teaspoons of coconut oil to start the day with enough energy. Coconut oil is solid at room temperature but will melt like butter if it spread on warm bread or toast. For a better taste sprinkle little of cinnamon or stevia. 2. Stir a teaspoon of coconut oil in the water or beverage that you drink during exercise. Author of ” The Secret of domestic food supplements ” ( Homemade Supplement Secrets ) Jeff Anderson advised, about 30 minutes before exercise to drink it, and you will feel almost immediately how your energy grows . 3. Add one to two teaspoons of coconut oil in the meal you eat after exercise. Not only healthy fat from coconut oil will help you to burn fat, but will fix the balance of hormones and help to regenerate muscles, according to Optimum Anabolic. 4. If you cannot stand the taste of stronger oil, use coconut oil gel capsules. You can take one to three grams with every meal in order to maintain a high level of energy throughout the day. 5. Stir in one to two teaspoons of coconut oil in a protein smoothie that you can drink in between meals hunger pangs, to spend more fat and maintain a high level of energy. The combination of whey and coconut oil in protein shakes acts as a powerful formula for strengthening muscles and burning fat. 6. Cook chicken, steaks, fish and other meats with two tablespoons of coconut oil. 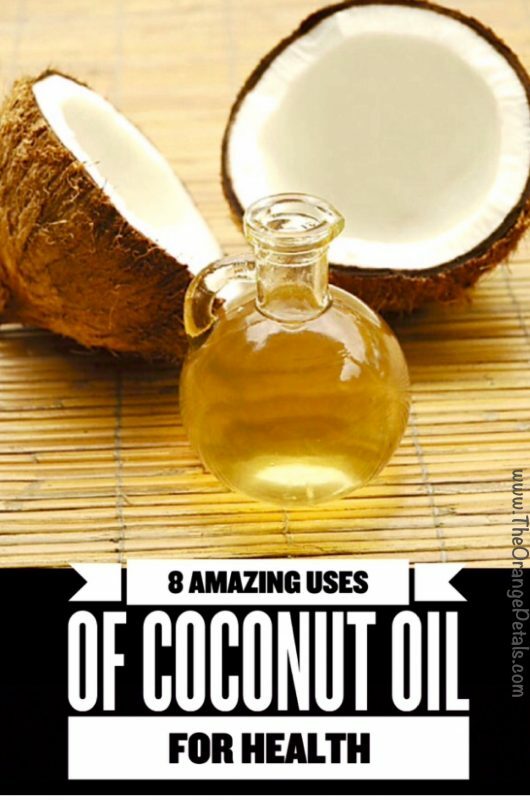 Fat from coconut oil are very resistant to heating so they are ideal for frying because it does not lose its chemical composition or converted into trans – fatty acids as well as some other fat . 7. Use coconut oil over dessert – a healthy fat can help reduce the rapid growth of insulin in the blood that would otherwise be deposited fat. Adding coconut oil in dishes maintained a high level of energy in your body and helps you stay slim. 8. Fights Infection – Medium-chain triglyceride (MCT) lauric acid makes up about 50% of the total fatty acid content of coconut oil and is the main ingredient that makes this oil so amazing. Amongst all of its other myriad of health benefits, lauric acid is a powerful anti-microbial, killing viruses, bacteria, protozoa, and fungi by dissolving their cellular walls. Adding a daily serving or two of coconut oil to your diet can increase your body’s resistance to illness, improve digestive health, and even help to heal ulcers of the stomach lining.